Fr. Kevin T. FitzGerald, S.J., Ph.D., Ph.D.
Kevin T. FitzGerald, S.J., Ph.D., Ph.D., is the Dr. David Lauler Chair of Catholic Health Care Ethics in the Center for Clinical Bioethics at Georgetown University. He is also an Associate Professor in the Department of Oncology at the Georgetown University Medical Center. He received a Ph.D. in molecular genetics, and a Ph.D. in bioethics, from Georgetown University. His research efforts focus on the investigation of abnormal gene expression in cancer, and on ethical issues in biomedical research and medical genomics. He has published both scientific and ethical articles in peer-reviewed journals, books, and in the popular press. Fr. FitzGerald has given presentations nationally and internationally, and often been interviewed by the news media, on such topics as human genetic engineering, cloning, stem cell research, and personalized medicine. He is a founding member of Do No Harm, a member of the ethics committee for the March of Dimes, a member of the Genetic Alliance IRB, and a member of the Stem Cell Research Commission for the State of Maryland. In addition, he served until March 2009 as a member of the DHHS Secretary’s Advisory Committee on Genetics, Health, and Society. Fr. 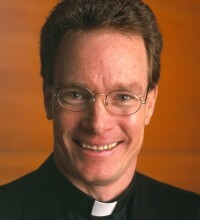 FitzGerald has been a Corresponding Member of the Pontifical Academy of Life since 2005, and has been a Consultor to the Pontifical Council for Culture since 2014.